Sisters Harper, Tawny and Dana visited their Granny Annie for a month every summer. Twelve cabins were located behind the café and convenience store—Beer, Bait, and Bologna. The sisters spent most time in the small white two-bedroom house just a short distance away. But their visits suddenly came to a halt before Harper's 16th birthday. A bittersweet inheritance reunites the estranged sisters ten years later. Granny Annie left the business and home to her granddaughters. Of course it is filled with memories when they return. Lots of good times were shared once before. Now they are riddled with guilt, secrets and mistrust. 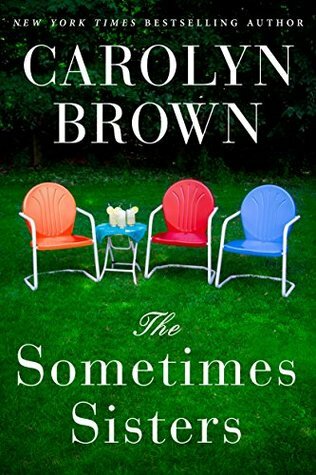 Author Carolyn Brown writes a steady tale as these "sometimes sisters" find they are always family. 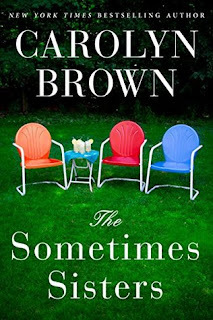 The Sometimes Sisters is great for "sometimes" readers that only pick up a book every now and then for a few pages of reading.